In Concert: Harpist Josh Layne | Oak Bay Music: Chamber Music Concerts Victoria B.C. 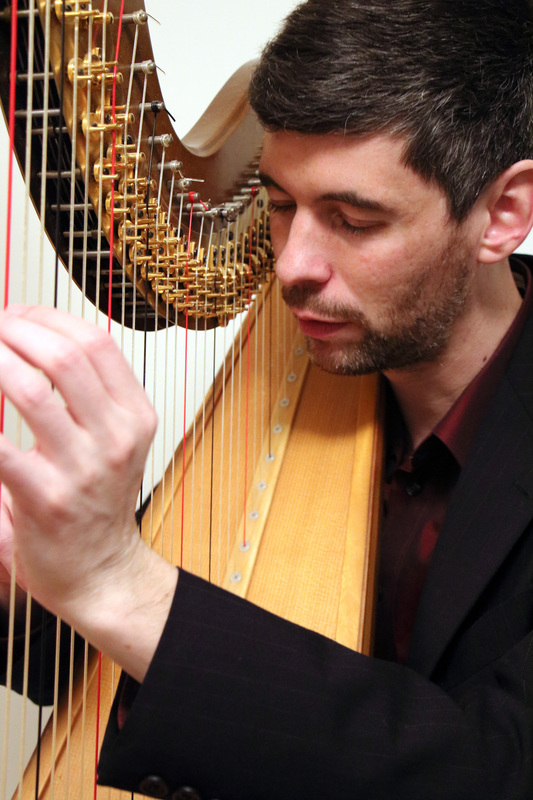 Victoria harpist Josh Layne has been called a ‘harp genius’ and a ‘consummate musician’. He is preparing for recital performances in Rio de Janeiro, but Oak Bay audiences will be served first with his May 3rd appearance at Oak Bay Matinee. He will perform a collection of original and transcribed pieces for the harp. “I am looking for music that speaks to me, that I would enjoy playing. I sometimes find pieces (originally composed for other instruments) which I find worthwhile to transcribe for the harp”, says Josh. Also on the program are works by Prokofiev, Bantock (with saxophonist Erik Abbink), Beethoven and Henson-Conant.